This is a Marvel Legends FIN FANG FOOM review. 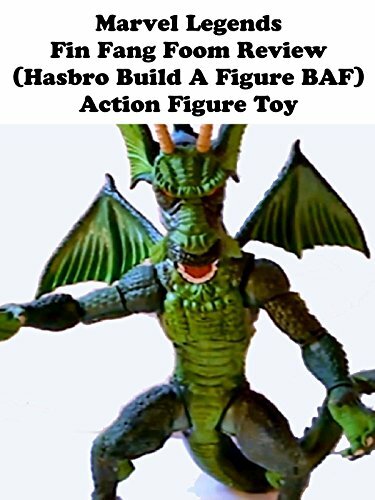 It's made by Hasbro and was the Build A Figure BAF action figure toy from a Hulk wave. It as made a few years ago and took 8 parts to build. It's really expensive in the secondary market to get now.